A lockdown of a building is intended to secure and protect Occupants who are in the proximity of an immediate threat. This procedure is used when it is considered to be more dangerous to evacuate the building than stay inside. By controlling entry/exit and movement within a facility, the warden team are better able to contain and handle any threats until Emergency Services arrive. 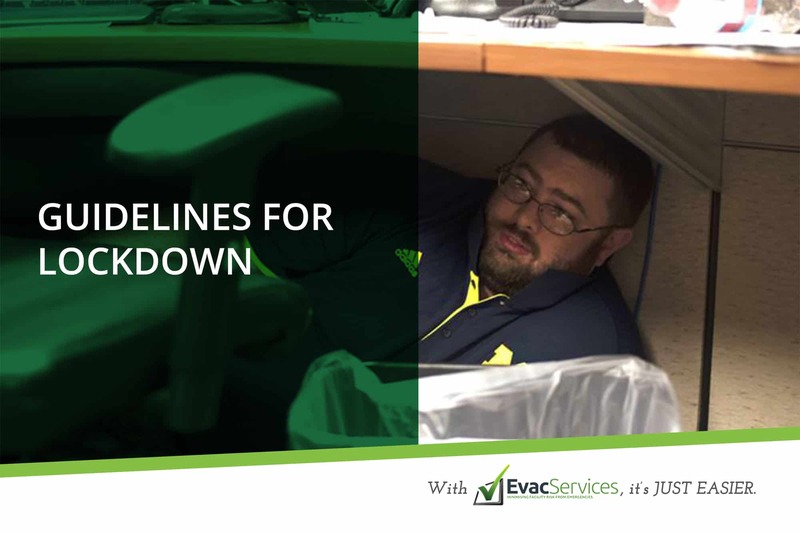 It’s important to distinguish a lockdown from a “shelter in place” scenario. A “shelter in place” situation is used during events such as a severe storm, where the safest action to take is to remain in the building. Shelter in place actions are also undertaken during lockdown events, however, will be accompanied by additional security measures such as building entrances being sealed. If your building has security on site, the security provider will have lockdown procedures within their standard Security Operating Procedures. During a lockdown scenario, building security will enact these procedures to ultimately limit access to the building, and where possible, restrict access to at-risk areas. Where possible, lock entrances to the building and ensure that nobody can enter the workplace from the time that a lockdown has been ordered. Wardens should communicate with workers that a lockdown is in place and direct people to rooms where they can hide. Ensure people avoid large, communal areas, and instead, small numbers of individuals should be directed to each room. What Should Building Occupants do? What happens after the lockdown? Following the lockdown, any instructions by emergency personnel should be followed. During a lockdown, if the fire alarm is activated, remain where you are and await further instructions over a PA or portable loudspeaker. If possible, monitor media reports. For their safety, Emergency Services personnel must initially consider all individuals as potential threats. It is important to follow instructions from the police at all times to avoid harm and ensure the best possible response. If you have any questions about lockdown procedures or would like more information, click CONTACT US below. You may also take our FREE SURVEY QUESTIONNAIRE to identify your compliance gaps.